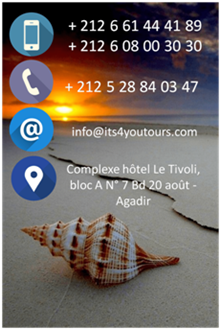 Discover Morocco in circuits in minibus or 4x4 either on the march: hikes, equestrian, chamelières and camel safaris, in the desert in mountain and on the Atlantic Coast. Be then allowed carry by the Moroccan atmosphere, at the rate of the crossed villages, met people, adventures 4x4 the wild runways, moments of peace in bivouacs, in medinas, and in the middle of nowhere. The journey and the Moroccan sets are breathtaking!